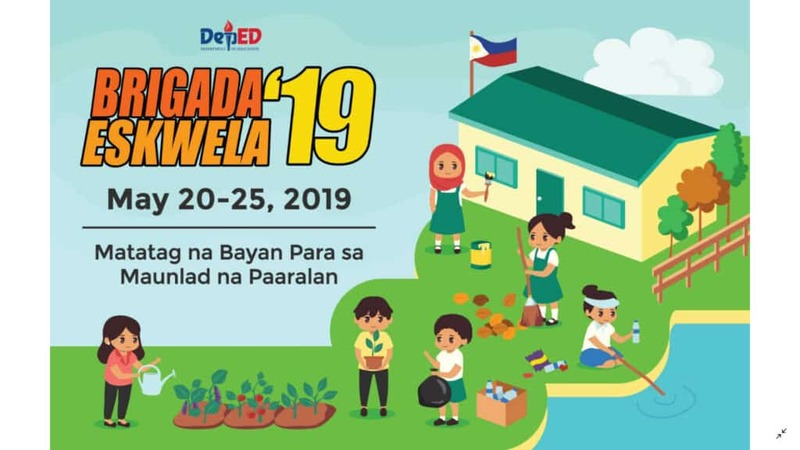 The Department of Education (DepEd) will conduct the 2019 Brigada Eskwela from May 20 to 25, 2019 with the theme “Matatag na Bayan para sa Maunlad na Paaralan.” The Brigada Eskwela is the National Schools Maintenance Week, that aims to brings together all education stakeholders to participate and contribute their time, effort, and resources to prepare public school facilities for the opening of the school year in June. 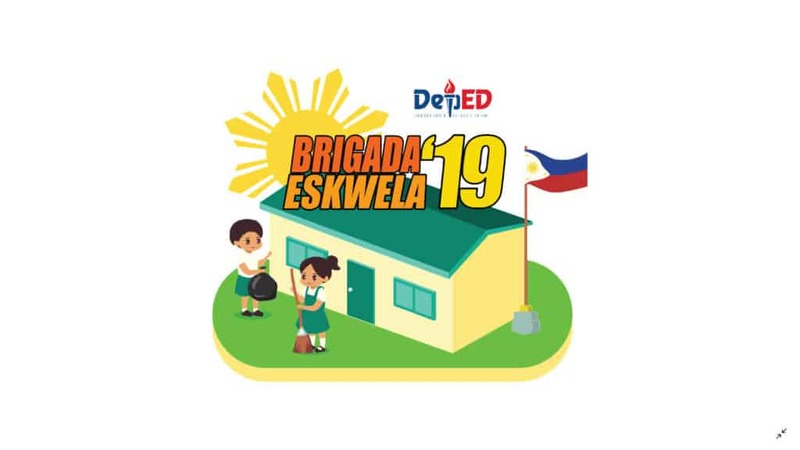 Over the years, the Brigada Eskwela effort has evolved from a week-long cleaning-up and beautification exercise to a festive coming together of students, teachers, school officials, parents, community members, local government officials, non-government organizations, church groups and the private sector. It, too, has become one of DepEd’s major initiatives in enjoining local communities to respond to the needs of public schools and be part of a nationwide effort towards improving Philippine basic education. This was made possible by the hard work and determination of school heads in finding innovative ways to bring children to school, keep them there, and ensure that they will learn. Brigada Eskwela will not be what it is today, if it were not for the strong leadership in our public schools. This Manual has been especially designed for School Heads like you who play an important role in the successful implementation of Brigada Eskwela (BE). It aims to equip you with the necessary standards and procedures in implementing the program. It contains a daily line-up of activities. It highlights the value of engaging stakeholders from the community and the private sector to be active partners in improving your school. From planning to managing volunteers, this Manual also lends many insights on the various stages of the Brigada Eskwela Program. This material was prepared by the Regional Adopt-a-School Program Coordinators together with the National Secretariat and Consultants of the Department of Education through a series of consultations and workshops. The meaningful experiences of school heads who were awarded best implementers of Brigada Eswela also gave inspiration to the development of this Manual. As school heads, the entire school community looks upon your leadership to bring them together for a worthy cause, protect the gains of your hard work and sustain your collaborative efforts. With much faith in your ability to mobilize volunteers, resources and goodwill, combined with the proper use of this Manual, we wish you the best in your school’s Brigada Eskwela.